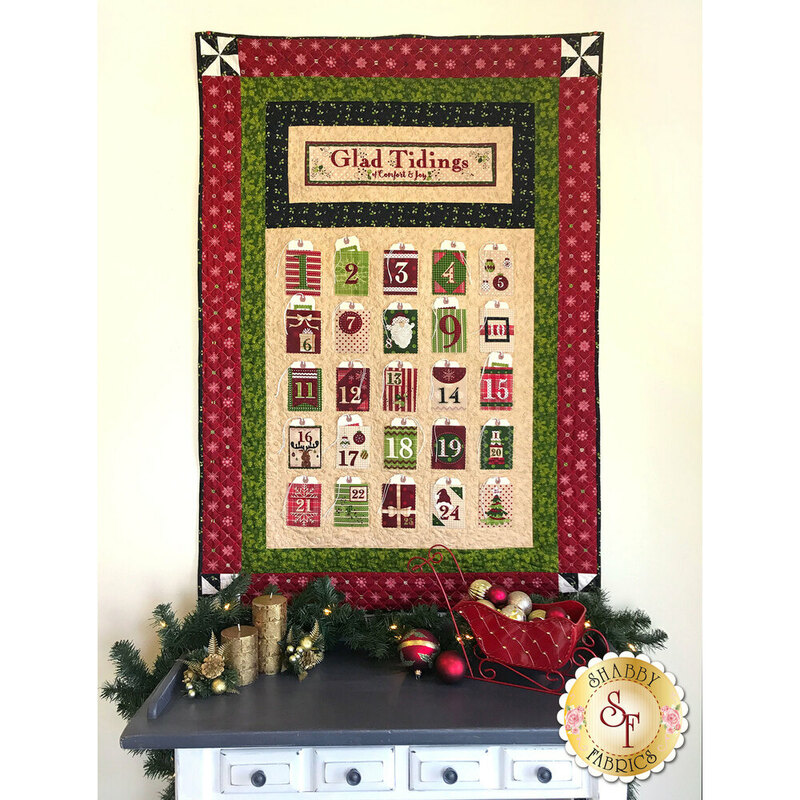 Count down the days to Christmas with the festive and thoughtful Glad Tidings wall hanging kit! 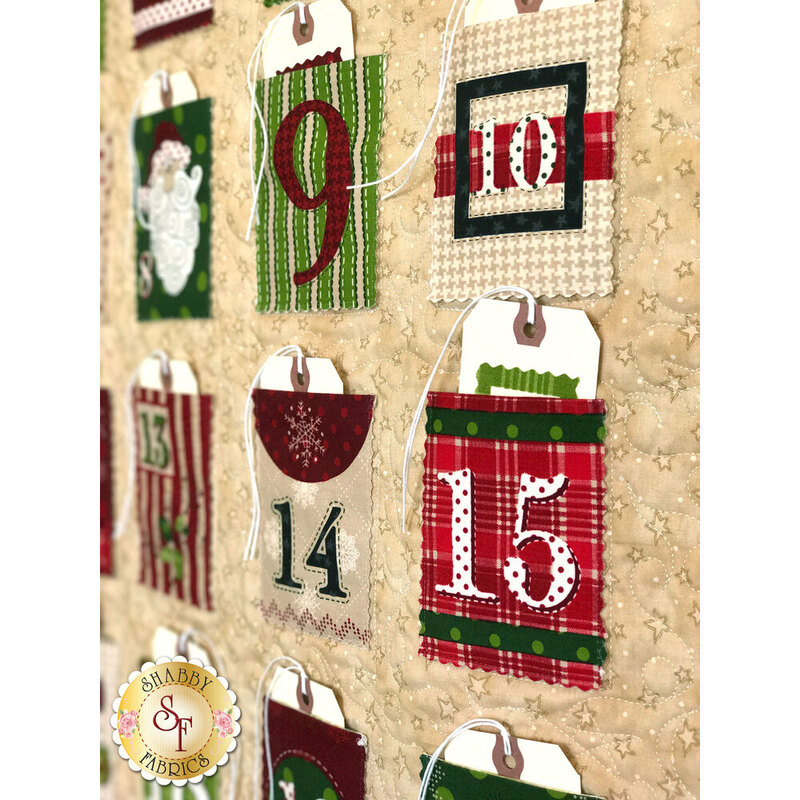 This delightful advent calendar has a sweet task for each day leading up to Christmas; it's the perfect way to bring the spirit of Christmas to your family! There are 25 tags with all kinds of activities from "Walk a Dog at the Animal Shelter" to "Babysit for a Friend". Finished wall hanging measures approximately 40½" x 58¼". 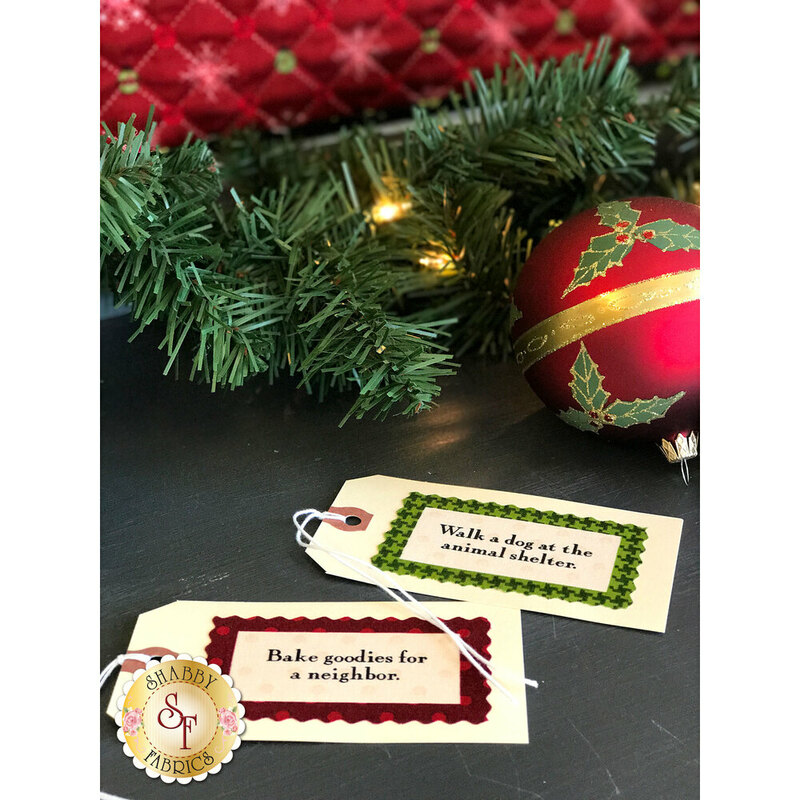 This kit includes panel, all top fabrics including borders and binding, as well as pocket tags and embellishing string for the tags. Add the Olfa Splash Rotary Cutter below to help with your precision cutting! Add the Olfa 45mm Pinking Blade below to give your pockets a fun edge and help reduce unraveling!